We had an amazing time at our Women`s Self-Defence class this past Saturday. And we were overwhelmed with the response we received from the community. Over 70 women were in attendance as we focused on a specific scenrio and shared with them some options they can use to be more aware, and defend themselves. The energy in the room was fantastic as we introduced them to Women’s Jiu-Jitsu. I`m excited to announce that we will be hosting a 12-week Women`s Self-Defence Program running every Saturday afternoon from 3:30 – 4:30. The program starts Feb. 6th and continues until April 23rd. During the 12 weeks we will be teaching you how to neutralize the 15 most common attacks ranging from having your hair grabbed to being pinned to the ground by a weapon-bearing assailant. Each one-hour Women`s Jiu-Jitsu lesson addresses two techniques. You can participate in this program without previous experience. Unlike most self-defence systems that rely heavily on strength, speed and coordination, the techniques shown employ leverage, technique, and timing, so anyone , regardless of age or athletic ability, can make them work against larger opponents. Arm yourself with the best weapon in self-defence – Jiu-Jitsu. Cost: this program is free with our unlimited membership. It is $239 for non-members. When: Every Saturday from 3:30-4:30 starting February 6th running until April 23rd. Call 705-919-9499 – Visit our Two Locations – or use the button below to commit now! 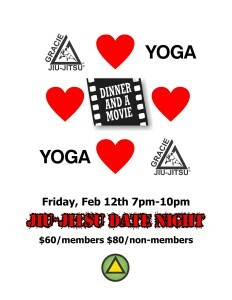 We had such a blast at our last Jiu-Jitsu Date Night we thought what a perfect time to host another, Valentine’s Day! This may surprise you but it was Steve who was concerned about the level of romance we would be able to offer for the ‘special day’. We put our brainstorming caps on and came up with a great way to strike the balance of trying something different and the traditional feel of Valentine’s Day. Let us handle the babysitting for your Valentine’s Day plans. 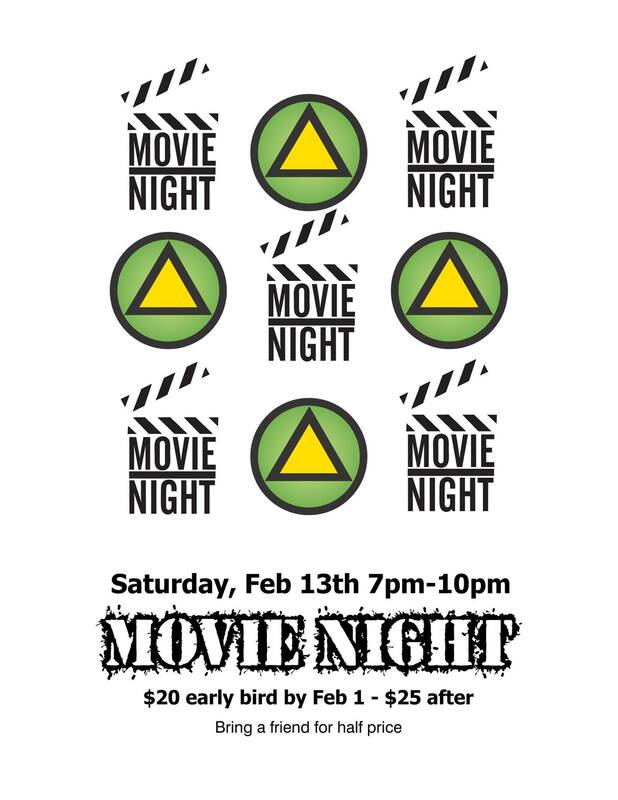 On Saturday, February 13th from 7pm – 10pm we will be hosting a Movie and Pizza night for the kids! With Kung Fu Panda 3 hitting theatres soon, we thought it would be the perfect excuse to watch the first two over again! Bring a Buddy for HALF PRICE!! 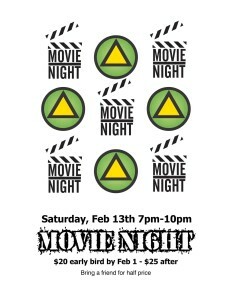 Our Early Bird Pricing is Feb 1st – $20. The price will increase to $25 after. Reserve your spot now! We are SUPER excited to announce our newest program, targeted towards Youth! Our Youth Leadership Program is designed for participants ages 12 – 18. 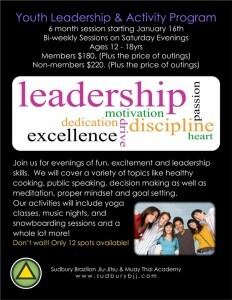 We will be running bi-weekly sessions from January until June on Saturday evenings. We’ve already had a lot of positive feedback about the program, and it hasn’t even started yet! We’ve also been receiving a lot of questions. I’m going to do my best to answer them now. What exactly is the Youth Leadership Program? We’ve had a lot of youth come in and out of our doors over these past 10 years being in business. We have heard the struggles parents have with keeping them motivated, developing their confidence, their social skills, their eating habits, getting them to help with things around the house. One big thing parents want/need is another voice. Someone else to really drill home all of the messages they want their kids to hear, but they aren’t really hearing because parents talk so much! White noise! This is where we come in. We also had this idea when we looked around the city for weekend social activities for teens. What are your kids doing on a Saturday evening? Hanging out with friends? Yes of course, but what are they actually doing? When I asked parents this, they say video games, watching movies, or worse, getting into trouble. Our program is offering a place for your teens to be social, be active, get to try new things, and develop their leadership skills which will help them when they go away to school, live on their own and enter the job market. Our program is designed for pre-teens and teens ages 12 – 18. We are providing a social outlet. If that is a bit intimidating for your child, signing up with a friend is a great way to help break the ice. Our intentions for this program is to provide activities for our city’s youth on a Saturday evening. The same old movie and video games are getting tired. Let us inspire them. Let us motivate them. Let us just hang out with them! We are only accepting 12 participants in our first program and spots are filling up fast. 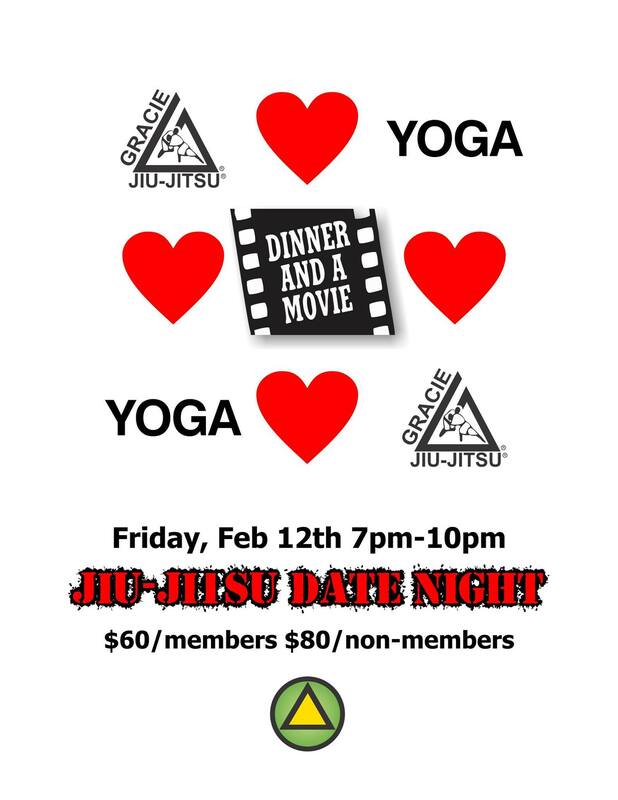 Feel free to email me directly if you have any questions jenn@sudburybjj.com or call the Academy 705-222-7655 to book your spot in our unique group.